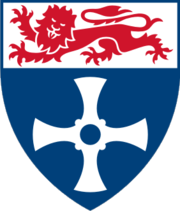 The Newcastle university has just announced a new stem cell project that aims to speed up drug research. StemBANCC, as the project is named, will involve 10 pharmaceutical companies and 25 academic institutions. The collaborate project will be coordinated by healthcare company Roche. During the project, around 1,500 human induced pluripotent stem cell lines are expected to be generated in the University's facilities. Researchers will use these stem cells as human disease models, for testing drugs under development both for safety and efficacy. According to the officials, the project has a budget of €55.6 million. He added that during the project a great number of experimental drugs for various diseases will be tested. 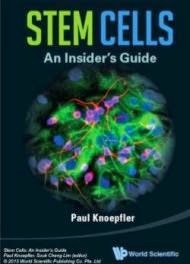 "The aim of StemBANCC is to generate and characterise 1,500 high-quality human-induced pluripotent stem cell lines derived from 500 patients that can be used by researchers to study a range of diseases, including diabetes and dementia,"
"The cell lines will help implement patient models that will facilitate the drug development process thanks to the possibility of reproducing the disease mechanism in vitro." The consortium contains some very big pharmaceutical names including: UK Medical Research Council, Oxford University, University of Edinburgh, INSERM, DeCode Genetics, Pfizer, Abbott, Novo Nordisk, Eli Lilly, Sanofi Aventis and Merck. The Newcastle University is a public research university located in Newcastle, in the north-east of England. The university is a member of the Russell Group, an association of research-intensive UK universities. It currently ranks in the top 20 of UK universities and has a world-class reputation for research excellence.